If love could keep an animal alive, Nigel would still be with us today. 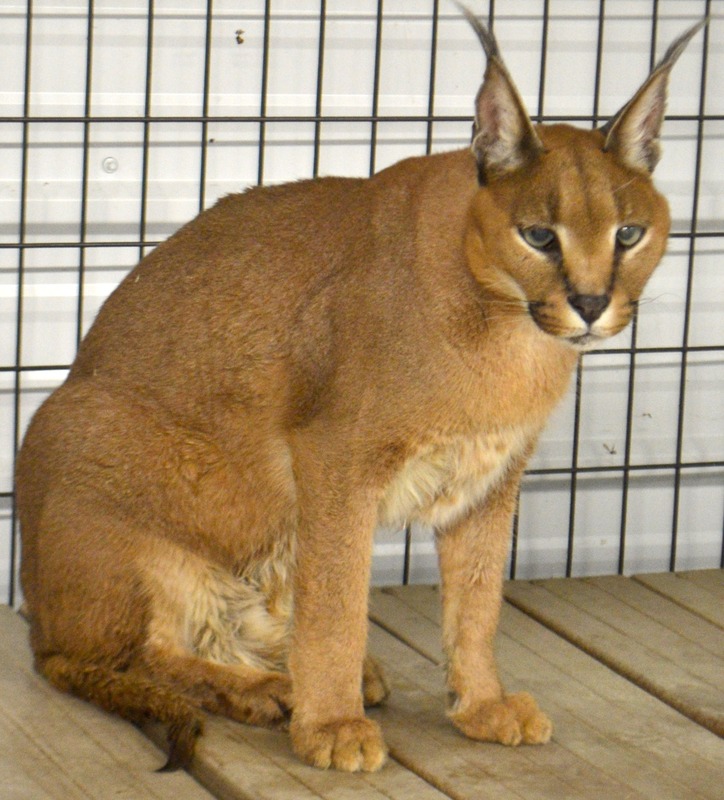 Nigel and his brother Ivan, arrived at The Wildcat Sanctuary just this past year. Never did we think we’d have to say good-bye so soon. 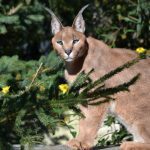 Ivan left us within days of coming to The Wildcat Sanctuary, and Nigel has had chronic medical issues since his arrival, too. Each of Nigel’s new medical hurdles unveiled more about their previous life and gave us some insight into why Ivan had so much trouble. Nigel had blood sugar issues symptomatic of diabetes or an endocrine disease. He was also diagnosed with severe chronic joint degeneration due to age, being 4-paw declawed, and having lived in a small space with hard substrate for over a decade before arriving at our Sanctuary. On top of that, he was a senior cat and suffered from renal disease with hypertension. 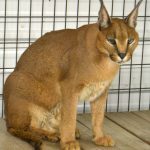 He received expert medical care and pain medication to ensure he was comfortable each day he lived at The Wildcat Sanctuary. He always showed his appreciation whether it was strolling his outdoor area, rubbing on enrichment, or rushing indoors for a great meal with all his medications. He was loved. So loved. Not only by our staff, but by previous caretakers, sponsor parents, and so many TWS supporters. Most days you would never know Nigel had so many issues. But, over the last few weeks, they became more apparent and he deserved to keep his dignity. We closely monitored his comfort level and assessed him daily. Nigel was very confident and had always been clear in communicating his feelings and expectations. He lived the days as he wanted and told us when he wanted space. He often greeted us nicely for meds and meals and then, when our service was complete, he let us know we were no longer needed and ventured back near his cat neighbors to say hello. We began to take it day by day and let Nigel tell us when it was our role to help him pass on. One day, he was less active and alert than usual. Our vet and I watched him closely and discussed if he was ready. At that moment, he stood up, chirped at us and then to his friend Sampson until Sampson called back. He remained standing and began grooming. He looked over at us and then curled back in the grass. It wasn’t his day to leave us. His last few days were reminiscent of Ivan’s first and only days. He was lethargic, yet comfortable. We would see him basking in the sun during the day and then napping on his indoor hammock in the evening. But this day was different. Nigel walked slowly into his yard to take his last nap in the sunny grass outside. He let us know today was his last with us, and we let him nap in the sun all morning. When it was time to say good-bye, we helped Nigel pass peacefully and released some of Ivan’s ashes in his space. They were back together again. Our hearts ached for his loss, for our loss, and also for the life we wanted for both Nigel and Ivan. They deserved so much more time in open, natural space. Now they have found it, even if it is beyond the walls of our Sanctuary. 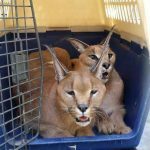 While IFAW negotiated with the owner, trying to convince him to surrender all his exotic cats, we agreed to take them all in – two tigers, two servals, and two caracal brothers named Nigel and Ivan. 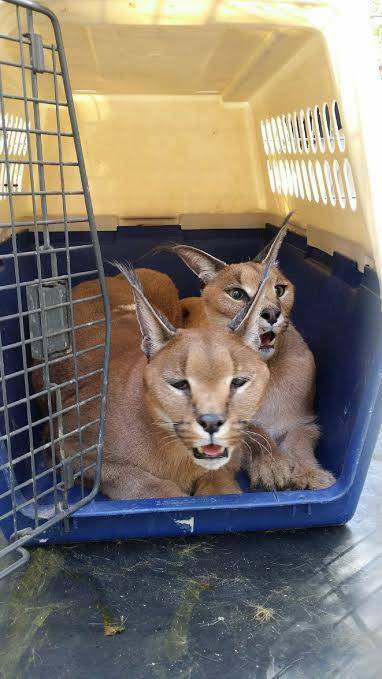 Another sanctuary offered to take in a lynx from the event center and provide transport for the cats to us, too. Everything was in place. Nigel and Ivan, born in 2000, had lived at the event center their entire lives since being purchased as kittens. They both moved into our large indoor/outdoor quarantine area when they arrived. Nigel began exploring the outdoor habitat area rather quickly. While Sundays mean the start of a new week for most of us, for Nigel, this particular Sunday meant the start of a new life. We’re so grateful to all our supporters who helped with this happy “beginning” for them. If you’d like to consider sponsoring Nigel, he’d love that! You can SPONSOR HERE.